I - general view of completed shell; II - shell laterally (both from sediments of station 16). Spongidiscus (?) 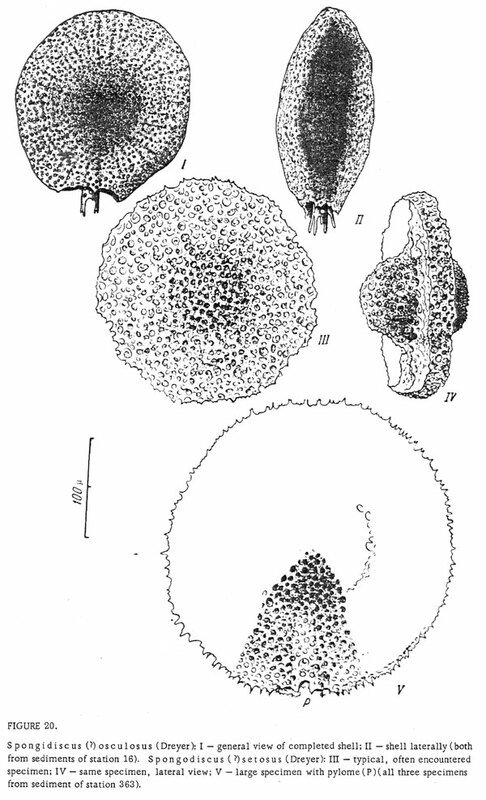 setosus (Dreyer): III - typical, often encountered specimen; IV - same specimen, lateral view; V - large specimen with pylome (P) (all three specimens from sediment of station 363).